I love to use student-made teaching materials in my ESL class. 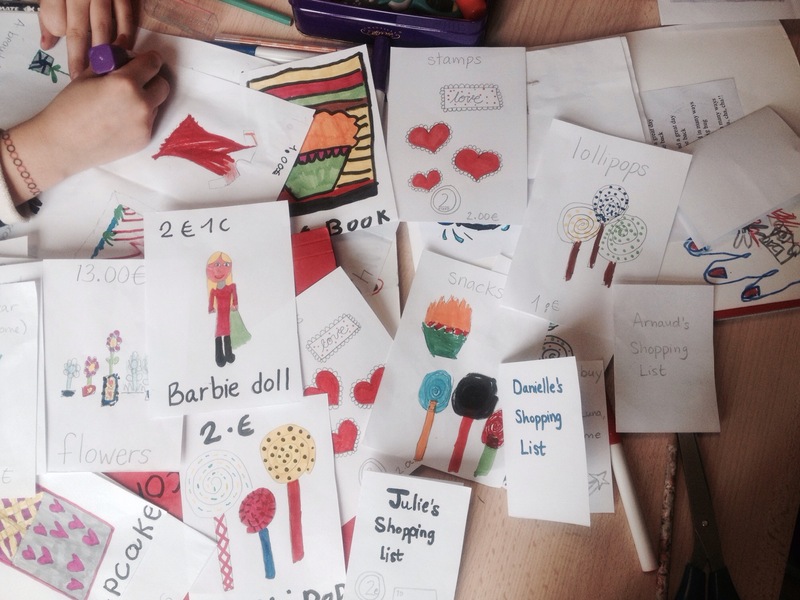 The items that we made this time were drawings of objects that my students were going to sell to each other. I understand that some parents find the use of art in a ESL classroom as irrelevant or just a waste of time. I beg to differ. My students and I use that time to actually talk and sing. You’d be amazed at how much more relaxed children can be when they are in the middle of creating something. Singing becomes more fun and I get the time to question them about everyday occurrences. More than that, they are actually made to use the actual language (and phrases) that they would benefit from the most. “Twenty cents, ten cents, one euro, two euros…”etc. We then quickly moved on to adding up different sums and they really enjoyed showing off their ever growing math skills. I then asked them to pick out a particular item to sell and to then choose a price to sell it at. 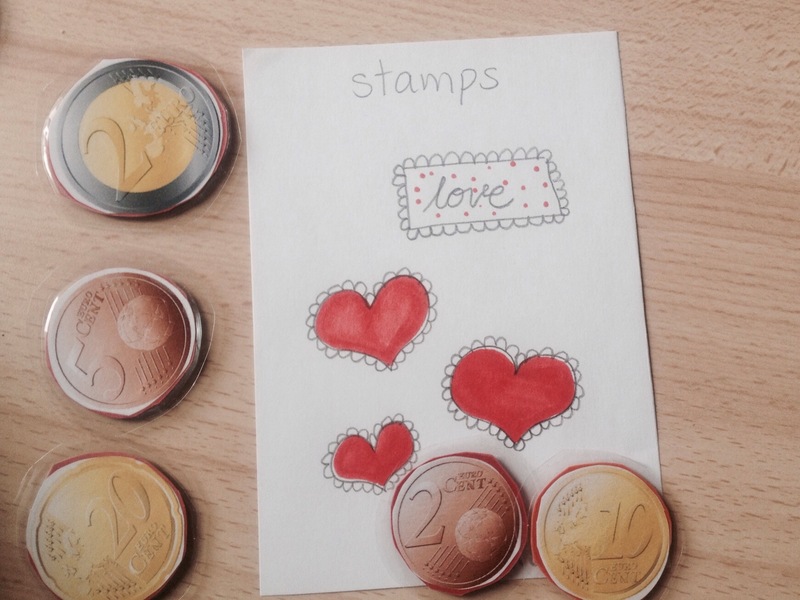 Working in pairs they took turns asking, “How much does this cost.” ” It’s costs # euros and # cents. ” Whereby their partner would answer, “That’s expensive!” or one of the other phrases. How did my students like this activity! Let’s put it this way, it was hard to get them to end the lesson. They were hooked. This entry was posted in Anglais, ESL, Math, Money, sing, Uncategorized. Bookmark the permalink.